mode 2 - only previously undefined area of panorama is filled. 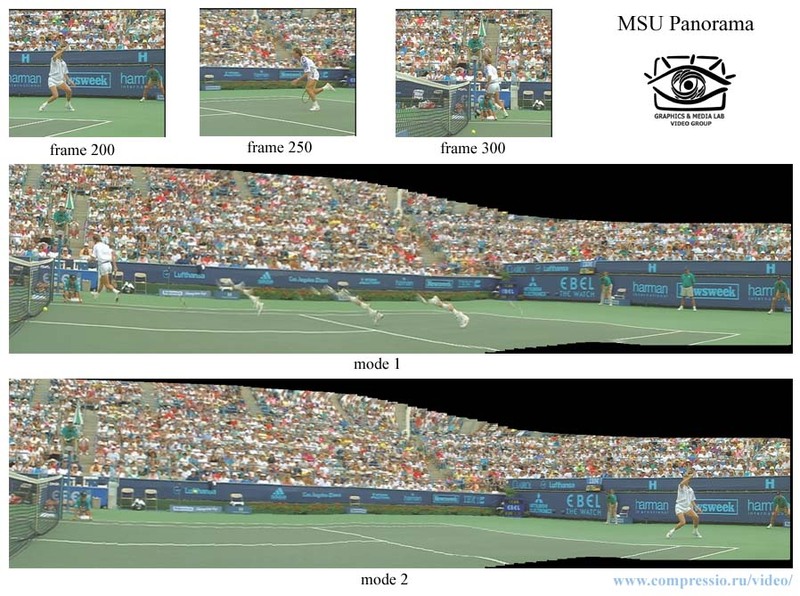 The results of MSU Panorama in these two modes are presented further. The picture below demonstrates the results of panorama construction for stefan movie. 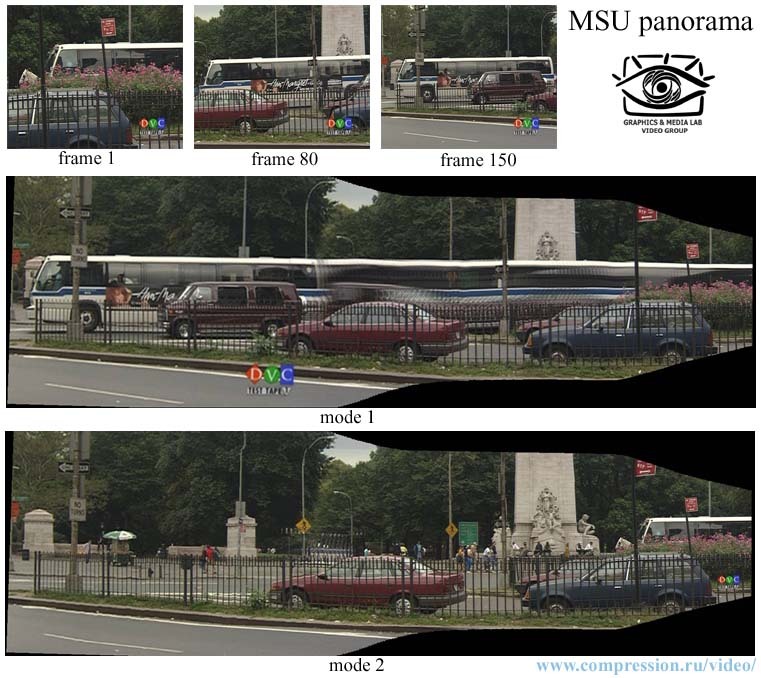 One more example of MSU Panorama for two processing modes.